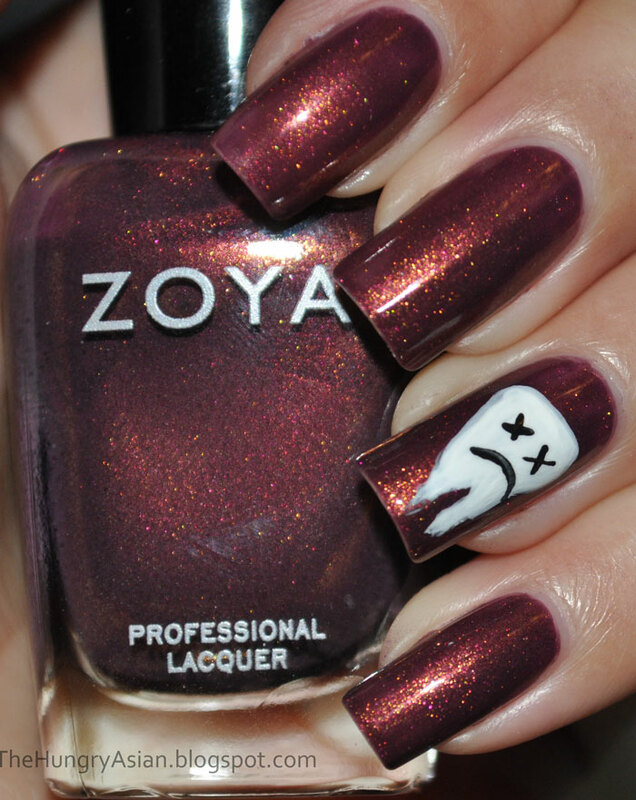 Home » nail art » zoya » Anastsia wins! Thank you everyone that voted and helped me pick my mani for today. I am feeling pretty nervous right now! I painted my nails last night before bed, 2 coats of Anastasia. 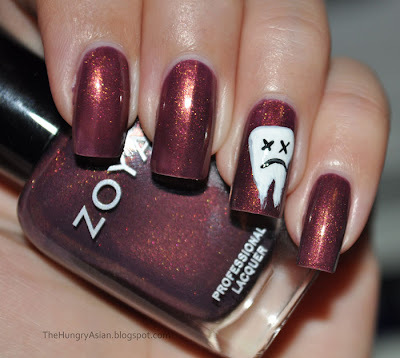 Since I had an hour to kill after washing my face earlierI added a wisdom tooth nail art lol. I doubt my real teeth will have x's for eyes and look so sad lol.